Just the other day, I was installing the latest Visual Studio with Update (Update 3) using the web installation file I obtained from MSDN. Needless to say that the installation was using my network bandwidth up to 75%. It didn’t bother me until I had to download something else that somewhat was more important that Visual Studio itself :-P. So what to do! It wasn’t that important enough to cancel the whole installation so I thought if I could just pause the installation for just some minutes it would be great. As you probably know, VS installer does no have a pause button. 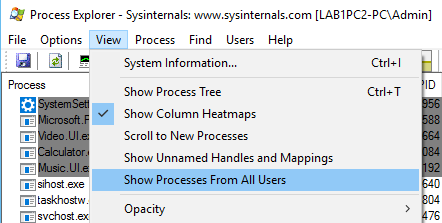 I remembered then, a utility that I was using some time back from SysInternals Suite called Process Explorer that offers that suspend process feature. Just in case you come to the situation where suspending a process would be useful for you too follow the following instructions. 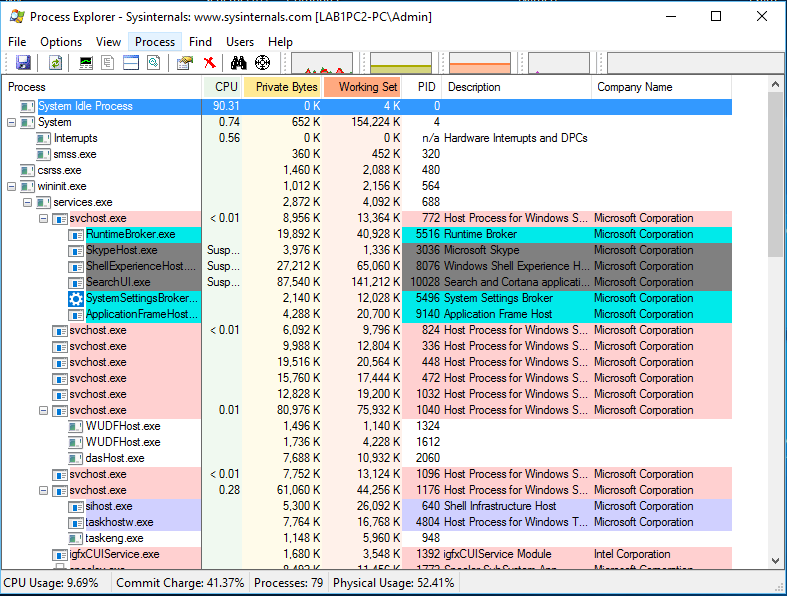 Click on the link below to download Process Explorer from Technet. Now unselect View>Show Processes From All Users in order to have a clearer look at the processes running under your user account. 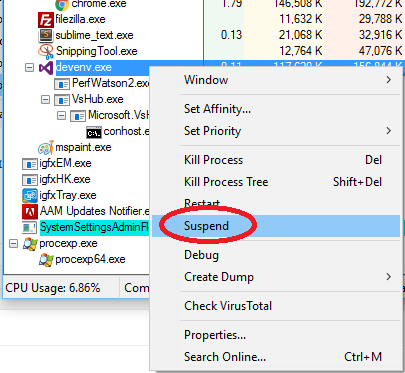 Right-click on the process you want to pause and select suspend. That’s it. The process is now suspended and saved to memory until it is resumed. Therefore, freed from the resources it was using i.e: CPU and network. 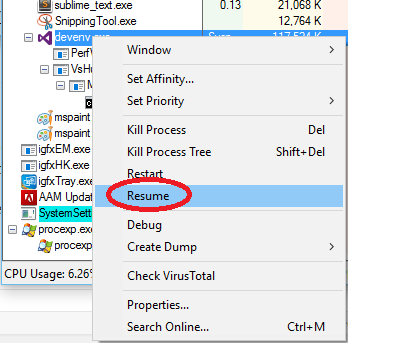 To resume the process, right-click on the process and select resume.